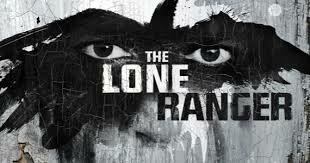 When The Lone Ranger was released in the summer of 2013 it got hammered by critics. A few of these critics brought up valid complaints about the movie (ie: it was too long, it felt like Pirates, etc), but most of these critics didn't review the movie as much as the movie's troubled history thus not giving the movie a far shake. I saw the movie on opening day and was equally impressed and disappointed at the same time. I liked the meat of the movie and thought the action set pieces were really well handled. I also thought that the scenes with old Tonto were unneeded and padded the already bloated running time. I wrestled with these feelings until the movie hit blu-ray right before Christmas the same year. Once again I sat down to see if I was wrong. I was and wasn't, again stuck with a hot/cold reaction to the movie. After I watched the movie for the second time I retired the movie to it's place among all of my other movies. It would be a little over two years before I watched it again. Now that I have watched the movie again, what do I think about it? I think that the movie is underrated. When the movie was released by in 2013, there was so much bad press about the movie's production that the movie would not have been able to get away from it. It was doomed to fail. Without having all of the negativity going into this viewing, I found the movie to be thoroughly entertaining. Johnny Depp is wonderful as Tonto, a native haunted by his past. Armie Hammer is great as The Lone Ranger. The direction by Gore Verbinski is impressive. Verbinski directs the movie like he has his previous movies, no shaky cam, a lot of establishing shots to remind us where we are. I never got lost during a scene because of too many unnecessary close ups. The movie plays well and is very well made. I still think that the old Tonto scenes are a drag on the movie. Every time Verbinski cuts to them the momentum that the movie was building is stopped dead in its tracks. There is no reason for the old Tonto scenes as there is no payoff to them. They can be lifted from the movie and it would be better for it. Another thing that people may find negative about the movie is it is surprisingly graphic for a PG-13 movie, let alone a Disney movie. The villain eats a man's heart while it is still beating. We only see this act in a reflection, but it is still there. The Lone Ranger had the unfortunate luck of being released with hateful press. Much like other huge bombs like Heaven's Gate and Waterworld, The Lone Ranger gets better the further away it gets from it's past.